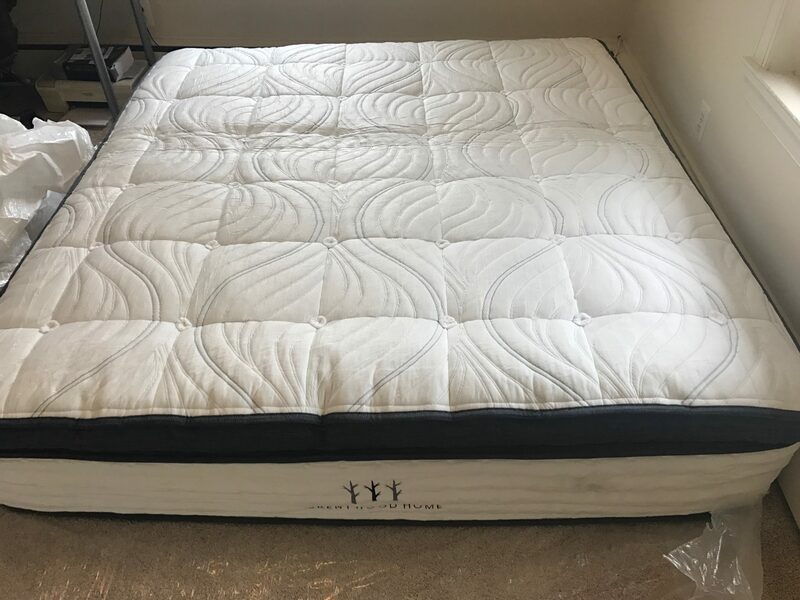 This Brentwood Home Oceano Mattress Review was recently completed by the MattressJunkie.com team. Brentwood Home has been handcrafting mattresses in California for over 30 years. The Oceano is a hybrid mattress that combines responsive comfort and long lasting support. Traditional springs give the Oceano long lasting support while gel memory foam gives the sleeper pressure relief and temperature control. Find out more about the Brentwood Home Oceano Mattress below. Tell me more about the Brentwood Home Oceano Mattress cover. The Brentwood Home Oceano Mattress has a cover made from plant based Tencel fibers combined with a layer of sustainable New Zealand Wool. New Zealand wool wicks away moisture and regulates temperature throughout the sleep experience. The Tencel knit cover is ultra-light and sleeps cooler than cotton, polyester, or other synthetic materials. Tencel is softer than silk and more breathable than linen. 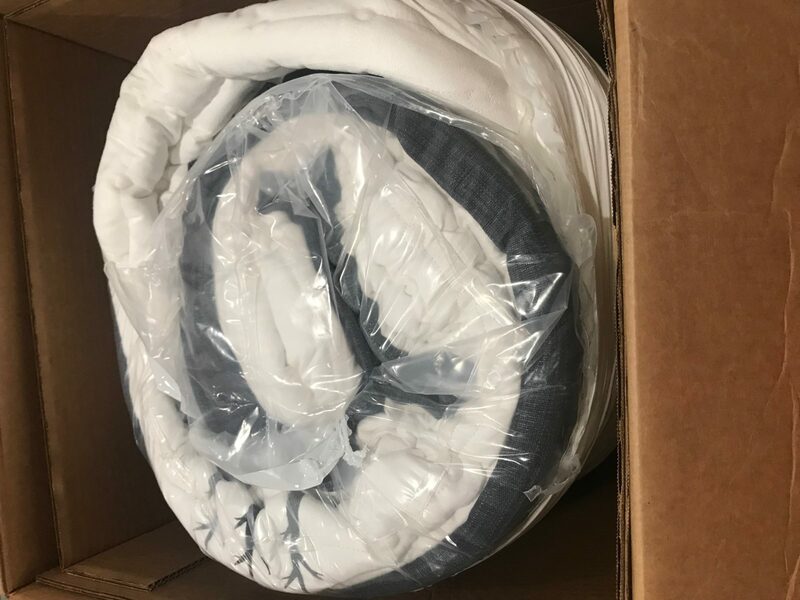 What’s Under the Brentwood Home Oceano Mattress cover? The first layer under the cover is 2 inches of gel memory foam. This comfort layer gives the mattress the medium firmness feel and adds a layer of temperature control with the gel infused into the memory foam. The second layer is 2.5 inches of individually wrapped microcoils. This layer adjusts to the pressure of your body while giving you precise support regardless of your sleep style. 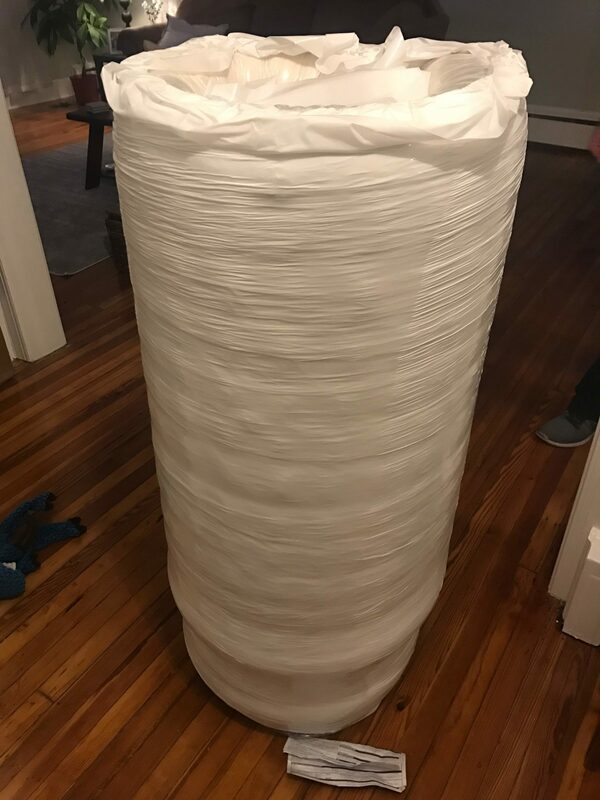 The third layer is 2 inches of Airlux Foam. This non-toxic, Certi-PUR-US certified foam is used to increase airflow. The last layer is an 8 inch layer of individually wrapped base coils. Quantum Edge Combi-Zone base coils are strategically positioned to support the sleeper’s hips, back, and shoulders. Reinforced coils were placed around the edges of the mattress to provide strong edge support. Edge support allows someone to sit on the edge of the bed and use the whole sleep surface without the caving in feeling that many memory foam mattress owners complain about. What Sleep Style Works Best with the Brentwood Home Oceano Mattress Review? The Brentwood Home Oceano Mattress is a medium plush in terms of firmness. Side and back sleepers who like a more comfortable sleep surface would sleep comfortably on the Brentwood Home Oceano Mattress. What type of base should I place my Brentwood Home Oceano Mattress Review on? 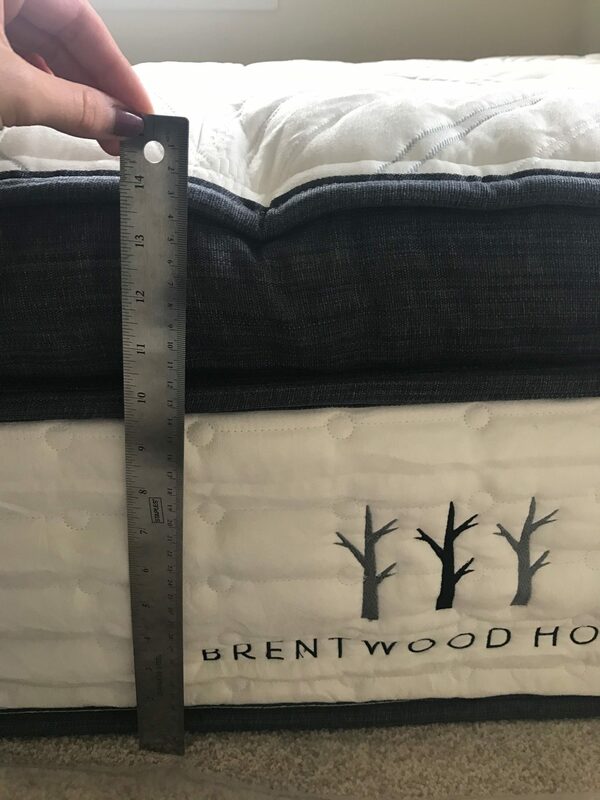 Box spring, platform base, bed frame, adjustable bed or any flat surface would work fine with the Brentwood Home Oceano Mattress. Like new cars, mattresses often have a smell when they are unrolled. This smell is called off-gassing. The smell is usually very faint and quickly dissipates once the mattress breathes. The Brentwood Home Oceano Mattress didn’t have a noticeable smell. What Type of Warranty and sleep trial does Brentwood Home offer on the Oceano Mattress? Brentwood Home has a 25-year warranty on their Oceano Mattress and a 120 night money back guarantee. How much does the Brentwood Home Oceano Mattress cost? Do we recommend the Brentwood Home Oceano Mattress? Brentwood Home has created a luxurious mattress in a box and its half the price it would cost in the mattress store. No corners were cut. This is one of my favorite mattresses. If you want a medium plush mattress that will change your life, the Oceano Mattress is an easy choice. 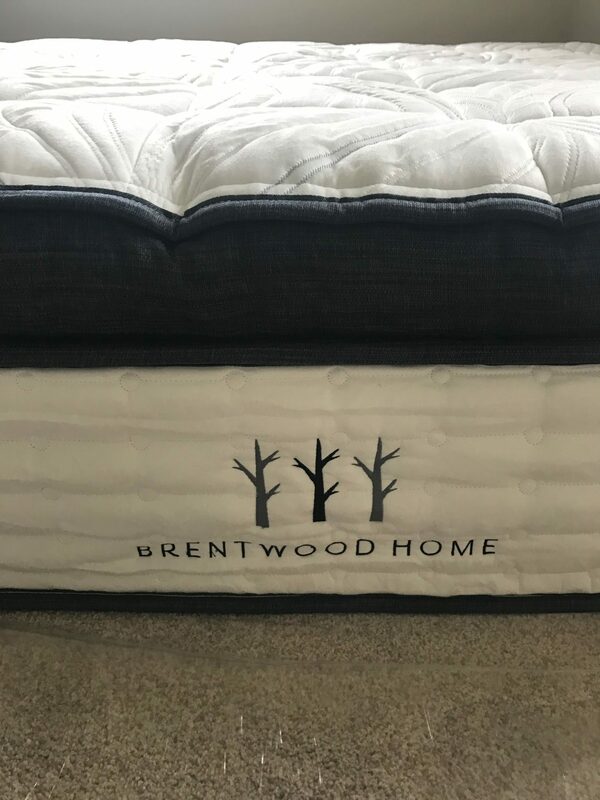 Order Your Brentwood Home Oceano Mattress here…..